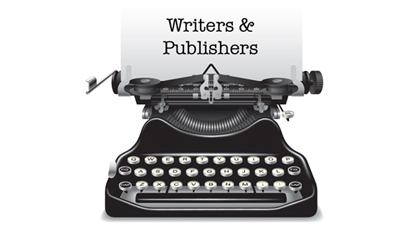 The Connecticut Authors and Publishers Association brings together those who want to discuss writing, publishing and marketing books. Interesting article on publishing trend. Created by Peggy Gaffney Nov 19, 2009 at 12:36pm. Last updated by Peggy Gaffney Nov 19, 2009. Created by Peggy Gaffney Oct 21, 2009 at 7:35pm. Last updated by Peggy Gaffney Oct 21, 2009. Created by Peggy Gaffney Aug 22, 2009 at 10:36am. Last updated by Peggy Gaffney Oct 8, 2009. Created by Peggy Gaffney Mar 8, 2009 at 2:54pm. Last updated by Peggy Gaffney Oct 8, 2009. My Freind Kathleen teaches How to Be an Amazon Bestseller! Created by Peggy Gaffney Feb 28, 2009 at 3:08pm. Last updated by Peggy Gaffney Oct 8, 2009. If you look at the members book page, the books have all disappeared. This is not something I have done, but, as I have been told, an adjustment on the ning. site. I have been told to wait till this is fixed and the books will come back. So please be patient.